In truth, I never got tired of the boat show circuit. I used to particularly love the Annapolis Show, in part because of the incredibly complicated logistics it takes to put it together (the show has to put in and remove their own docks each year). If you want to see the T43 (and who wouldn’t?) she will only be at the Newport Show, not Norwalk. So, you snooze, you lose. 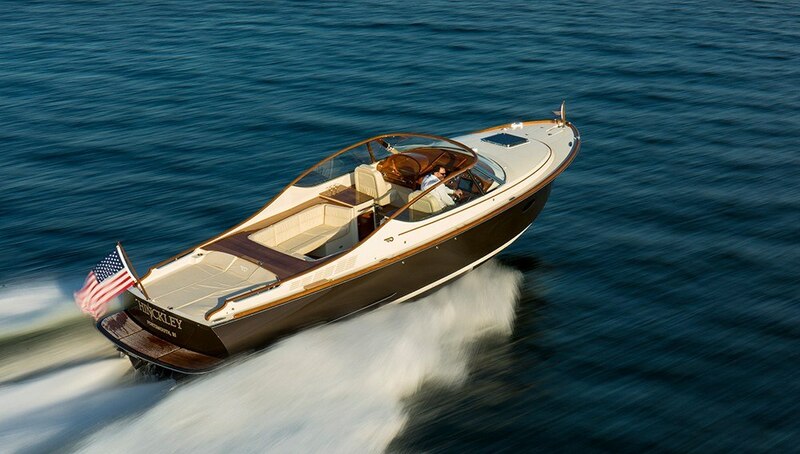 Our second offering will be our ever-so-popular Picnic Boat MK III. Pretty easy, huh? How about in a more challenging environment? 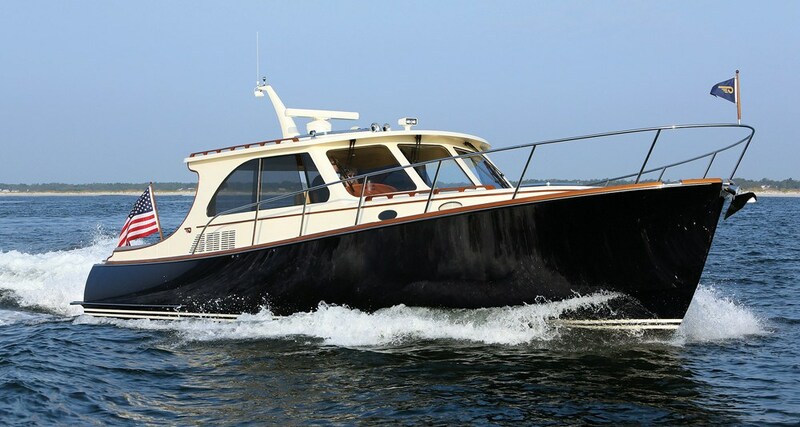 We’ve kept a Talaria 34 Pilothouse over in the Shinnecock Canal all summer. 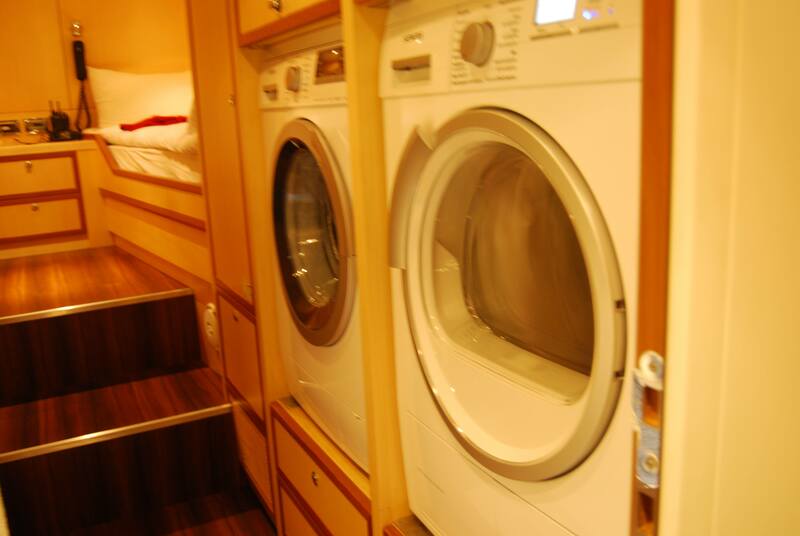 It’s a superb location, because to the south the Atlantic Ocean is just a few minutes away. Or head north, past Orient Point, to quickly enter Block Island Sound. 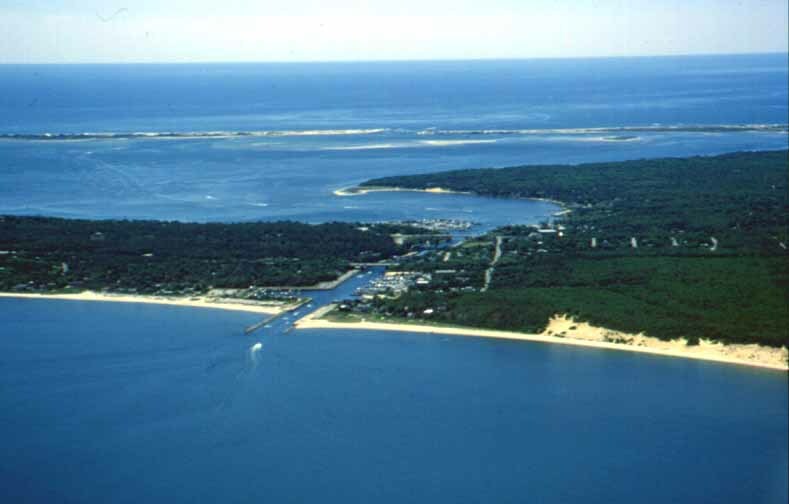 But the tidal difference between the Shinnecock and Peconic Bays is a couple of feet, so sometimes, depending upon the phase of moon, the current can really rip down the canal. It’s really more like a swift river at times, and docking a prop’ed boat (after all, it takes six hands to maneuver a double throttle/double gearshift/double bow thruster yacht!) takes skill plus luck. But to achieve the docking ease shown in the above video in a ripping canal all you have to do is increase your RPM by about 15% and use your jetstick normally. Trust me, she will obey! Lastly, our new and much-buzzed-about Talaria 34R. We just sold one to a knowledgable Hinckley owner (his third!) and when you see her at the shows you’ll understand why. I’ve posted this particular video before, and probably will again. I just can’t get enough of the soundtrack’s baritone saxophone! So that’s our Newport Fleet. Come see us, and to quote Fatboy Slim and Christopher Walken, find your Weapon of Choice! Longtime readers will remember my earlier blog (found on the home page as “My Original Blog“). Over a span of four years that blog grew to have over 4,000 regular readers. I am really excited to report that The Fog Warning, in jut a few short months, is now closing in on 1,000 regular readers. Thank you, one an all, for your support. It means a lot to me. Oh, that I could write with such eloquent economy! This is big – I now have a 2013 Talaria 48 for sale in my backyard, so to speak. Meet me in Westchester and I promise you an eye-opening walkthrough. The circumstances of her sale are unique. Call me quick, and I’ll fill you in. Hurricane Hermine is making some noises today in Sag Harbor, where I keep my trawler. So I’m off to check her lines and to add some chafe protection. So ciao for now, peoples of the world. And remember, Newport Boat Show – Be there or be square! Hardened sailors on the circuit could be tough to keep up with, party-wise. But there was talk all that summer of some young black girl tearing up the docks and clubs every night of Key West Race Week. And after just a few minutes racing with Dawn it was clear to Tommy that she sailed exactly as she lived – wild, raw, and undisciplined. Of course there was more to racing than speed. His dad had taught him it took focus, discipline, and tactics. But he couldn’t deny that Dawn had a brilliant feel for the wind. For her a breeze had an almost physical mass, and he sensed that she saw wind over water the way Van Gogh saw it over open fields; as colorful waves of swirling, airborne streams. She broke two bones in her hand. And won the race by six seconds. The Gorilla in the Room Back to the future!